ScanSnap's new partner is… Neat? >> ScanSnap’s new partner is… Neat? In the consumer paperless space, there were two main players for going paperless. There’s the ScanSnap, the scanner that I have been using since 2008, and there was their main rival (at least from my perspective), the Neat line of scanners. It was funny when I would go to tech conferences or professional organizer conferences, and I’d talk to people who were “ScanSnap people” or “Neat people”. They were pretty strong rivals, but within the last year or so, Neat decided to exit the scanner market and focus on their cloud software platform. Given their history, I was more than a little surprised to see that Fujitsu’s new partner for the ScanSnap is… Neat. 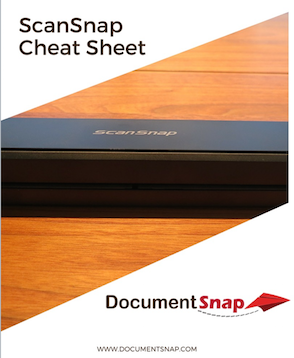 Not only has Neat become a software partner for the ScanSnap, but there is even a bundled ScanSnap edition with the ScanSnap as the scanner and Neat document software included. What a time to be alive. I am not sure what this means for ScanSnap Receipt. 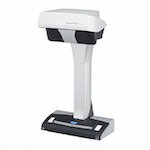 Hopefully, it isn’t a sign that ScanSnap will be getting rid of their own receipt software and moving to Neat, because the reviews of the Neat web-based software have not been glowing, at least among DocumentSnap readers. Since Neat is a subscription web-based platform, if you buy that bundle you’ll get a 1-year license to Neat Premium. I don’t see any details of additional Neat integration with ScanSnap Manager, but I’ll update this post if I find that out. Have any of you bought or tried the new Neat bundled ScanSnap? How is it working for you? What do you think of this development? It will be interesting to see what happens with rest of ScanSnap’s software, especially when it comes to processing receipts which has always been a weak point. Reluctantly took up SnapScan when Neat stopped working. But now I can’t get the SnapScan pdf exports to work at all. It just keeps saying Export Failed. Any one have any ideas? Started using Neat 10 years ago with a iMac. Scanners failed twice and customer support was not the best. Didn’t like the naming convention and the flat file configuration so I switched to ScanSnap. Neat is primary a software company that farms out their hardware needs. Fujitsu is primary a hardware company that farms out their software needs. I am not surprised that the two have merged. But, unless Neat has significantly improved there software platform (I doubt it) I say no thanks. Tried Evernote for the cloud services since at the time Apple was only using their cloud for Apple products. Got a cheeky note from Evernote that I was violating their terms of service by storing documents on their servers. So after hours of renaming a thousand or more documents from Neat and then Evernote, I prefer the old software. Any of you software writers out there that are reading this, take note from all of these replies above. Note to ScanSnap: quite hiding the old software. I was a long time neat user. Raved about it, but when they decided to strongarm us legacy user into their subscription based model, I decided to look elsewhere. I’m still using neat legacy 5.7, (very infrequent,; only to look up receipts),. Now I am scanning all receipts with Scansnap Receipt. I wish I could search on itemized items like in Neat. I had my loyalties with Neat, but they screwed us. Instead of building a base of loyal followers, they alienated their user base. I’m sure they know they are not the company they used to be. I wonder if they even noticed their sales have dropped off. I to do not like Neat however their file setup for documents is very acceptable . I have structured my evernote notebook to duplicate the file structure of Neat. The same structure is on my windows document file . Evernote will automatically update the files that were Neat exported to windows document. This method gives me backups: Neat program, Windows’ Documents File, Icloud through Evernote and last but not least hard drive backup. I have used the Neat scanner which I find to be inferior and a piece of junk. I was hoping to go to fuji scanner but the association with Neat Icloud killed that Idea. It looks like Epson might be the replacement for my Neat scanner. Agree with all the comments about Neat for mac. Every time mac upgrades their OS, the Neat scanner stops working. All I want to do is scan quickly and directly to pdf on my computer. I don’t want cloud storage. What are the differences between the iX1500 and the current iX500? …apart from the £500(!) vs. £350 pricing. To me, apart from touch screen, they look to have very similar actual real scanning functionality. e.g. they *still* only scan up to A4/legal (without folding A3’s). – being only a bit wider than the short side of these paper sizes, rather than the LONG side they offer on their business machines. Annoying. I’m planning to buy a ScanSnap, but I was wondering if I should get it with the Neat Bundle? Isn’t Neat supposed to automatically identify/categorize and file documents better than ScanSnap? Do any systems really do that effectively? Not sure how all this works. Thanks for any help you can offer! I am upset at NEAT, I was proud to have one on my desk and one in my brief case. After their decision to leave the desktop and strong arm me into a cloud version I have decided to vote with my money and never purchase a NEAT product again, I will miss it. I came to this site to find an alternative. 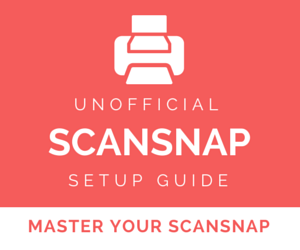 Just as I was getting excited I learn ScanSnap is in bed with NEAT. It may be a very good product but I refuse to allow NEAT to ever benefit in any way from my families earnings. Neat is not only trouble their customer support really is lacking. This is not good! Oh no, I liked neat as a software but as a cloud base forget it. I for see a cloud base war between companies. Google Drive , Neat, Evernote, OneNote etc. I still have the old neat software and I use evernote for my backup works great. I love Evernote it’s my electronic cloud file cabinet, take it everywhere I go on any os system which I have both. My Scanner is from Neat …… a big mistake, wish I had Fujitsu ScanSnap. Planning for the future when Neat software that I currently have crashes I hope to find a good replacement. Files that are email attachments I use Hazel. I really don’t want anything to do with Neat. I was a long time user and loved it until it when to the cloud base system. 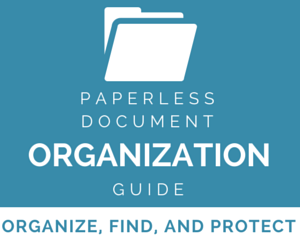 I lost 3 years of financial documents for my business. I don’t know what I will do if I get audited by the IRS. What’s worse Neat support people didn’t seem to give a darn. NEVER AGAIN! Same story. I had Neat from 2007 to 2016. It is a more complete software solution than Scan Snap. However Neat went downhill when it became cloud based. The new system is terrible and a nightmare if you are a MAC user like me. I looked at Neat again after the scan snap announcement. STILL PROBLEMS WITH MAC. Originally bought Neat desktop scanner. Had problems with it so I switched to Fujitsu ScanSnap. It is an awesome scanner. I bought 2. Worked great with Neat Desktop software. The Neat software is AWESOME. Am extremely unhappy with Neat for going to a cloud based platform so they can have monthly subscriptions. I don’t want my financials going into a cloud. Plus, the cloud version (which I tested) is extremely inferior to the desktop software. I spent some money and considerable time testing other software options and finally decided to simply use ScanSnap Receipts. It’s much more scaled down than Neat Desktop software but it works. I will be extremely disappointed if ScanSnap Receipts software goes away. I was hopeful that Fujutsu would enhance and improve it…. Fujitsu should BUY Neat’s desktop software. That would be a win-win. I hope Neat has made substantial improvements to their software and systems. I bailed on them when performance got so bad that scanned documents were not completing processing after days of being in the queue. Neat’s premise was very compelling – scan once and access everywhere but their erratic performance so seriously compromised the value proposition that I left their service. I too was a prior Neat user. I had issues with 2 Neat scanners and then with their change to a cloud subscription. My files will not be held hostage by a cloud company that might not be around in 5 years. I moved to a ScanSnap 1300ix so I could use my local file system and I am very happy with my current approach. SCANSNAP SHOULDN’’T CHANGE TO THE NEAT APPROACH! I too am a long term Neat user. I struggled through their software and scanner issues, but when they chose to stop supporting their initial legacy customers who purchased their software initially forcing them to lease after already owning the software, I got fed up. Worse, their cloud based approach would overwrite my carefully configured files for business and personal “ruining” my system for filing such documents(lumped business and personal file cabinets together). They would not restore what their “cloud” system had destroyed! That is what my prompted my change to ScanSnap. I am a newer user, but I prefer “my” financial documents on my computer and do not want software from “outside” altering my documents. I am very concerned about the new relationship with NEAT harming what so far has been a better product for your customers. PLEASE watch their interfaces with your hardware and software carefully. New loyal supporter. I was an early adopter of Neat back in 2007 and used it for many years. I started using it on a PC and then migrated to the Mac. Then Neat stopped supporting their installed software on the Mac and ultimately moved to the cloud. This was a wake up call for me. I realized that I needed a document storage system that was software manufacturer agnostic. I looked at a lot of alternatives, but wanted a system that stored docs in the filesystem, not in a proprietary cloud or database. I spent a week creating rules wth Hazel to export all my old Neat documents and rename them based on keywords inside the PDF files preparing to import them into Eaglefiler. It was worth the effort to untie my document archive from the changing fortune of Neat. I recommend avoiding any archive system that limits your ability to find old files to a single company’s software or system, especially a primary, cloud based archive. Thanks for sharing what is working for you. I’m not familiar with Hazel nor Eaglefiler but I’m going to check them out, for personal use and also our business. Hopefully I don’t have to have the brain of a programmer to make them work for me! Getting Hazel to import into Eaglefiler isn’t hard, but Hazel import rules are somewhat of a learning curve. There is a GREAT help form however for Hazel, and the author even responds to questions directly. 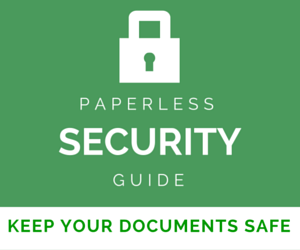 For a business, depending on the size of the business and the number of users and documents, you may want a more robust, multi-user digital scanning and filing system. I’ve used Laserfiche at work and it is among the best out there. It does sort of lock you into a single vendor. But the feature set is huge and powerful. 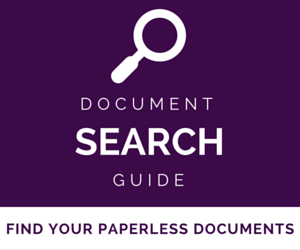 Whole City governments use Laserfiche from the City Clerks office to the Finance Division. Oy, this is surprising and troubling. Scansnap works. Neat? Not so much. I’d love to know what occurred in the back-end to make this happen. DON’T mess with Neat… We prefer our ScanSnap. A friend of mine has the Neat machine and is continually telling me his sob stories about how bad they are and everytime his Mac software is updated the Neat doesn’t work and they don’t care to fix it. Also, seems every time he wants to talk to someone about a problem, they want him to pay before they will even listen to his issue. NO THANKS! Very happy with my ScanSnap. PLEASE, don’t screw it up. Never again! Give me a way to have PDF files and I am a happy camper. This is not good news from my perspective. I used neat before I switched to ScanSnap. They really feel apart towards the end. Expensive, you couldn’t easily export documents. It more or less sucked.